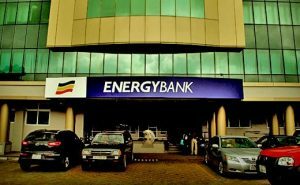 Energy Commercial Bank has upgraded its Energy Mobile application with additional features to facilitate banking transaction. The mobile banking initiative is aimed at making banking easier for customers to enable them make transactions faster at any place. With the upgraded version of the mobile banking, customers can now transfer funds from their mobile wallets to their bank accounts. Customers on a flip side, can also transfer money from their bank accounts to their mobile wallets. It also comes with other instant transactions such as paying of DSTV bills, topping up mobile money, checking balance, mini account statement, and buying airtime. According to the Head of E-Banking and Collections, Tubuor Ofei-Agyemang, the application is a two-part mobile commerce application that is multi-network accomplished and can interface with third-party payment schemes. He added that the application is available on both USSD and Mobile Web or in Wap format. As a result, it can be downloaded using android or any smart phone or accessed virtually on any mobile phone via a USSD code. “Energy Commercial Bank is committed to offering technology-enabled products and services to clients to make banking very easy for them. We will consistently innovate by offering services that are speed and accurate,” he said. Managing Director of Energy Commercial Bank, Christiana Olaoye, also stated that, they have re-positioned the bank to offer retail and commercial banking to customers through new product offerings targeted at their peculiar financial needs and through offering advisory support services. According to her, they are focused on supporting small and medium size businesses to becoming future economic giant. Customers, who have already signed up, must dial the preferred code *389*029# after which a welcome message will appear and the customer will be asked to enter the account number and confirm it. The customer will be again asked to enter his default pin and when the pin is successfully confirmed, the customer can then proceed to do his or her transactions. Energy Bank presently operates 12 branches in Ghana: five in Accra, three in Kumasi, and the rest in Tema, Takoradi and Tamale.